We attend many fund raising events throughout the year and we always welcome additional helpers. 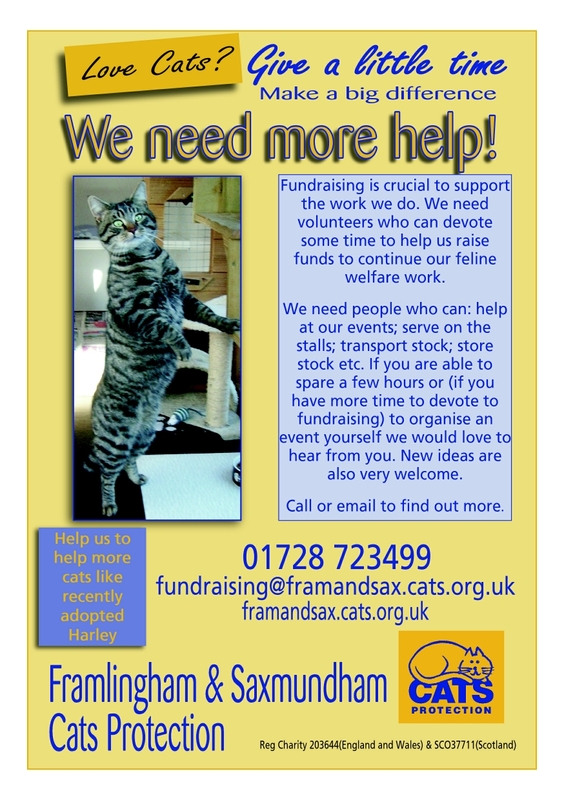 If you are able to spare an hour or two to help on the stalls or are able to transport goods to and from events, please contact us on our main branch number 01728 723 499 or email us fundraising@framandsax.cats.org.uk. Thank you.